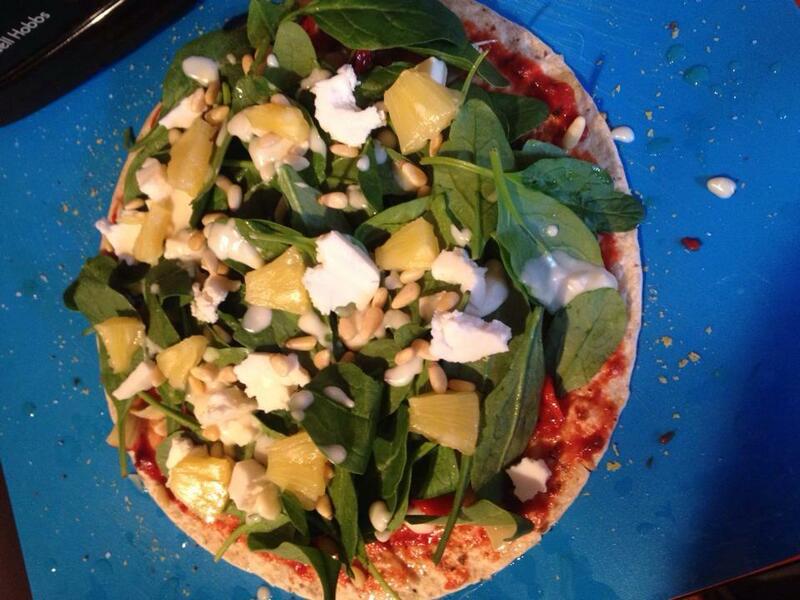 When changing to a vegan diet, one of my biggest concerns was pizza! 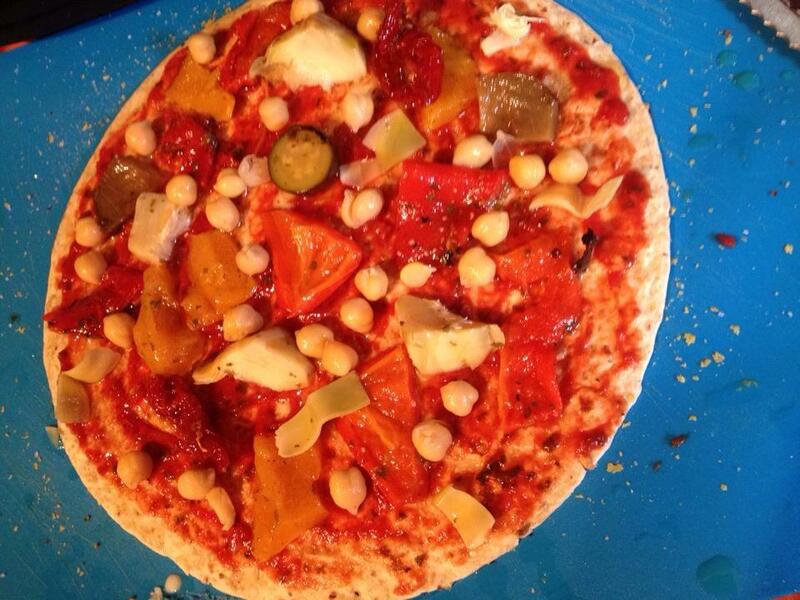 HOW ON EARTH CAN YOU HAVE PIZZA WITHOUT CHEESE?? WITHOUT SALAMI?? My ignorant mind boggled! The pizzas I enjoy now are more varied, delicious and healthy compared to the fatty, processed meat drowning in cheese ones I used to see as ‘normal’. One time I forgot to cancel the cheese on one of my pizza orders and was soooo hungry that I chose to eat it (judge away) and what a mistake! Not only did my stomach feel sore and yuck, but now armed with the knowledge I know of the dairy industry, I felt disgusting and disappointed in myself. Lesson learnt. Never again. 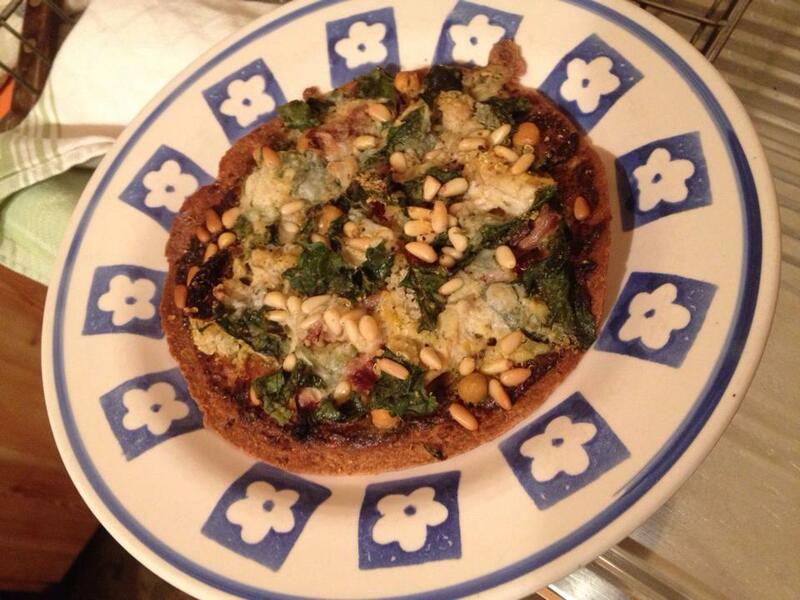 When it comes to vegan pizza, please have an open mind and do not despair! You will survive if you hold the cheese. 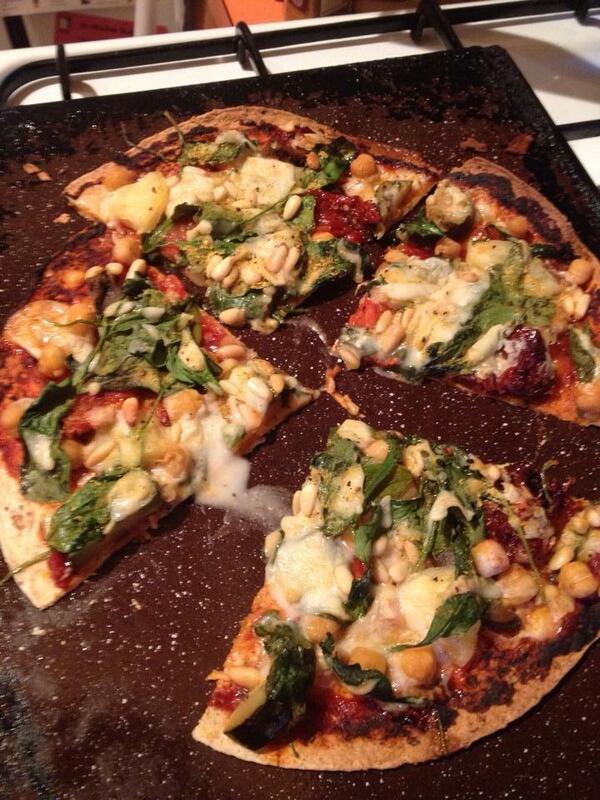 A char-grilled, fresh vegan pizza has become one of my favourite staples and still fills the comfort food void. 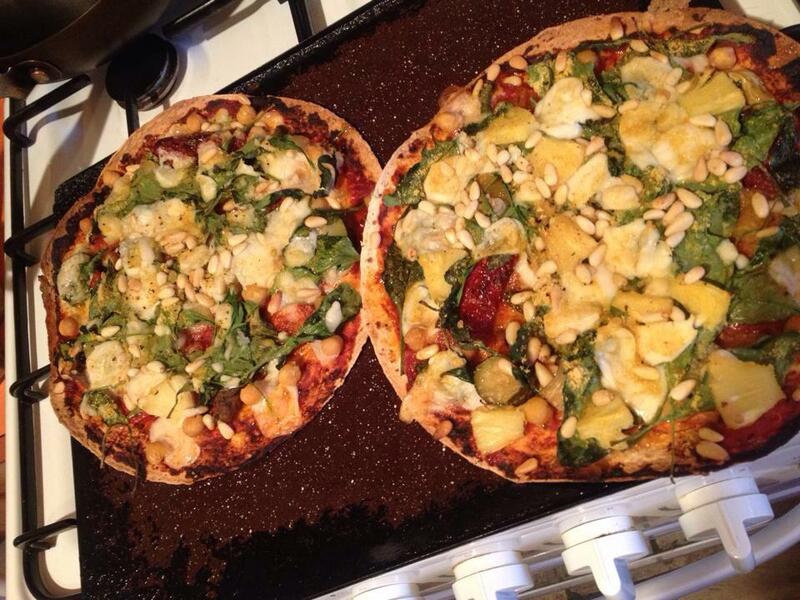 Enjoy experimenting with your meat/cheese free pizzas. You will not be disappointed! This entry was posted in Uncategorized and tagged chargrilled vegetables, chickpeas, Cruelty Free, notzarella, pineapple, pizza, plant based, quinoa, spinach, vegan cheese, vegan food, vegan pizza, vegetables, yeast flakes. Bookmark the permalink. For the past three months I have had my vegan daughter living with me and I’m slowly being educated to her delicious recipes. So good to read an Aussie blogging vegan! Are you on FB too?